Many tourists chose the rugged beauty of the Tararua region for a road trip by car, camper or bike. Tararua is very centrally located and a unique East Coast experience making it popular for road travellers as they journey New Zealand. State Highway 2 is the main route through the Tararua region. 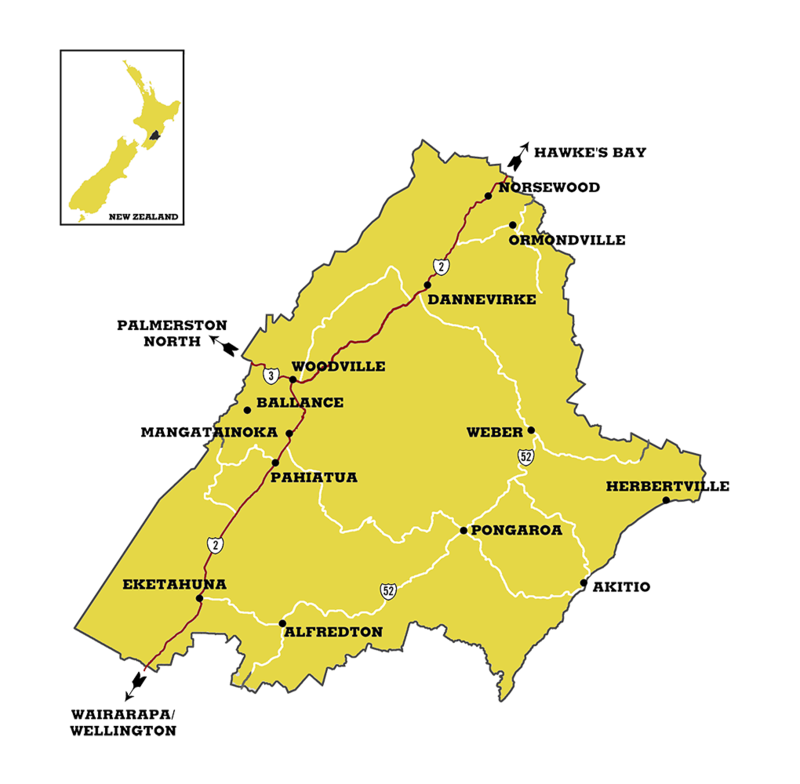 Travel north from Wellington or south from Hawke's Bay to come to Tararua on State Highway 2. Many tourists also chose to travel through Tararua on Route 52, which is the alternative road to State Highway 2 when travelling north - south. This journey takes in some of the region's spectacular rural scenery and infamous small town hospitality. This is also the access road to the region's untouched east-coast beaches at Akitio and Herbertville. Route 52 can be accessed from Eketahuna in the south and Dannevirke in the north. The Tararua region is serviced by Palmerston North Airport just 30 minutes from Woodville. The domestic airlines, Air New Zealand, Jetstar and Originair all have regular flights in and out of Palmerston North. Private and charter planes can land at Dannevirke Aerodrome, click here for more information.